I have been playing around with this pumpkin pancake recipe for a little while, going through multiple versions, because I absolutely love pumpkin! AND I don’t just love pumpkin in the fall. I love pumpkin all year long and find myself wanting to make these whenever the house is a little cooler in the morning than expected. I am not sure exactly why, but the spices just taste extra delicious when it is cooler out, like a rainy day, a cool spring morning, or a late fall night! 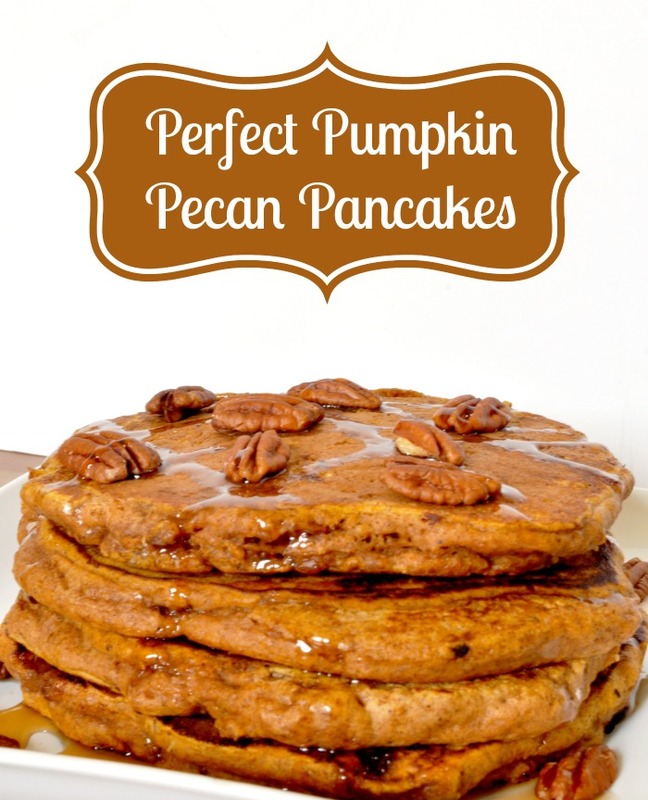 So I am so happy that I have finally found the perfect combination for these Pumpkin Pecan Pancakes! They have definitely made it to my list of favorite brunch recipes to make on Sundays. If you aren’t a nut person, the recipe will be just as good without them! My husband can be weird about nuts, so I have made the recipe both ways and love it both ways. He doesn’t mind the nuts though when I make sure to grind them up really small. As long as he doesn’t really notice them, he enjoys the rich nutty flavor they add to the pumpkin! Combine and mix all of the dry ingredients, including the pecans. In a different bowl, combine the wet ingredients. Then, fold the wet pumpkin mixture into the dry ingredients. Heat a griddle or nonstick skillet over medium-high heat. For each pancake, use about ¼ c of batter. Cook until both sides are lightly brown. Note: The texture of these pancakes is different compared to traditional pancake batters because of the pumpkin puree. It will be a bit thicker and spongier. While they will still taste delicious, I just didn’t want you to worry about whether you made the batter correctly. Are you a pumpkin fan? Do you eat it all year long or just in the fall? 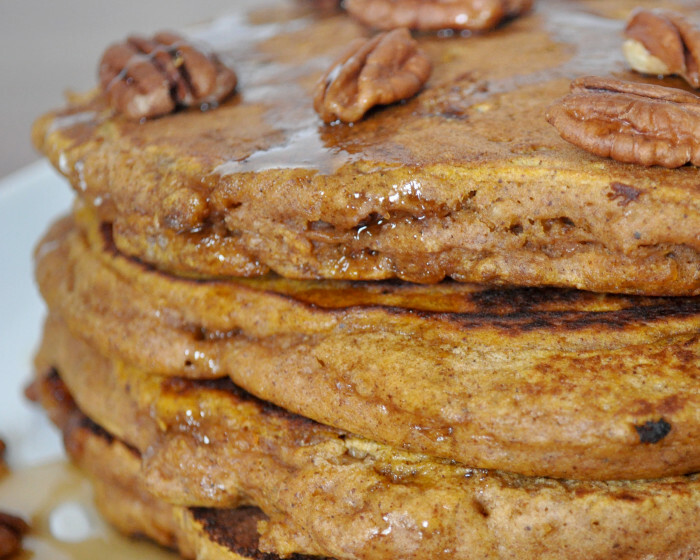 Oh, Pumpkin Pecan Pancakes will be perfect for Thanksgiving or Christmas morning! I can’t wait for fall! 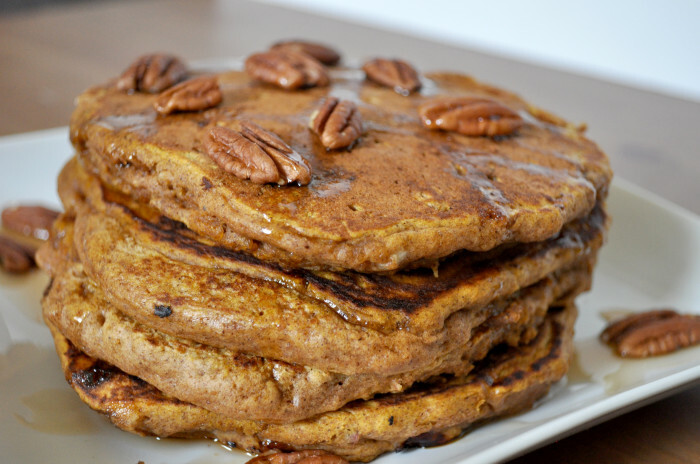 This Perfect Pumpkin Pecan Pancakes recipe is going on my breakfast menu. My husband and son love pumpkin and pecan!! Thanks for sharing a great recipe for them! I will let you know how mine turn out!! I love pumpkin all year round too! It is too good to only have in the fall. These look amazing, I can’t wait to try this recipe! So yummy! Pumpkin is a perfect ingredient to use in pancakes, I bet it makes them really moist and delicious! Thanks for sharing at Wine’d Down Wednesday! I hope to see you again next week! Yum, this looks glorious! I am a newcomer to pancakes (definite waffles kind of girl) but these look impossible to resist! Visiting from Wine’d Down Wednesday! I hope you’ll get a chance to come visit my little blog as well. Thanks! Love it! I love pumpkin but have never made pumpkin pancakes, will def have to try soon! Pinning! Thanks for linking with us for WDW!! Thank you so much, Deb! You are so sweet!! I am connected with you on all social media and can’t wait to get to know you more.